Welcome to the Cobblestone Inn & Suites in Eads, Colorado. Our hotel is located just off of U.S. Highway 287 and Colorado State Highway 96. 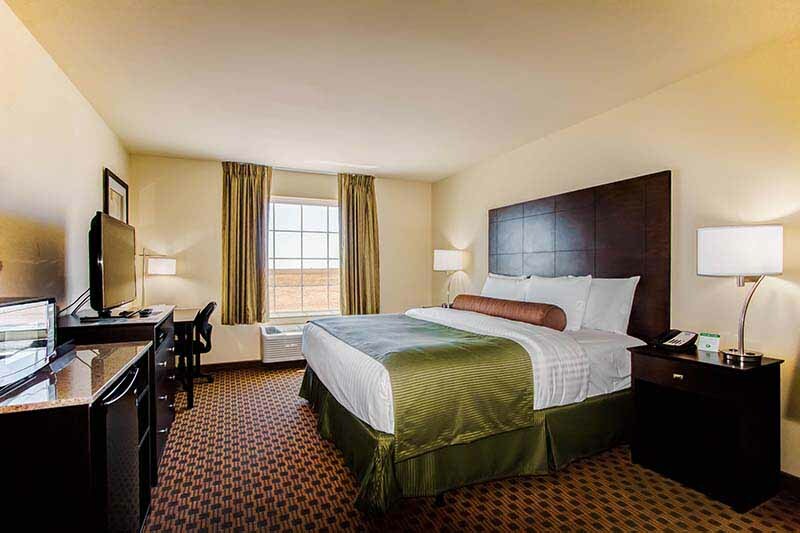 Our beautiful hotel is also conveniently located nearby the Eads Municipal Airport, The Sand Creek Massacre National Historic Site, and The Colorado Queens State Wildlife Area. In town for business? The Cobblestone Inn & Suites in Eads, Colorado offers easy access to the Southwest Colorado Power Association, the Weisbord Memorial Hospital, the Brown Funeral Home, and much more! In town for some fun? Check out the Kiowa County Fairgrounds, JJ’s Restaurant, Cinnamon Joe’s, Artist of the Plains Art Gallery & Gifts, or Side Street Station.